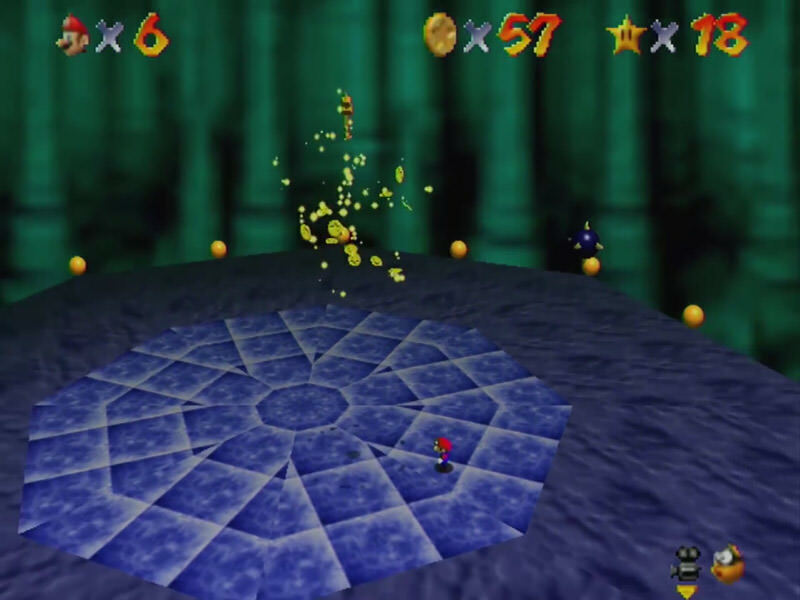 After defeating Bowser in Super Mario 64, a key will spawn from him. If you look closely, you'll be able to see coins flying out as this happens, but none will actually fall to the ground. This is probably a remnant from the beta version of the game, where Bowser would indeed drop a bunch of coins upon defeat. you can skip the entirety of the Sylvarant Base in Tales of Symphonia by just walking into a room the game tells you you're not allowed to go in, then walking out and proceeding down the stairs the game also tells you you're not allowed to go down. There are only five enemies in Final Fantasy VI that are weak to the Earth element: Ziegfried (who is weak to every element), Hidon and two of the four Hidonites, and Magic (fought in the second tier of the final battle). There isn't a single enemy or boss in Final Fantasy IV that is weak to the Earth element. George Lucas appears as a man in a troll costume in The Secret of Monkey Island. The file format for Doom and Doom engine-based games is .wad, which stands for "Where's All the Data?" You can get the "Big Boo's Balcony" star in Big Boo's Haunt with zero A presses. Larry Koopa is the only Koopaling not named after a real person. According to localizer Dayvv Brooks, he just "looked like a Larry". Do you ever wonder why Luigi wasn't in Mario 64? Well there you go. What are you talking about? 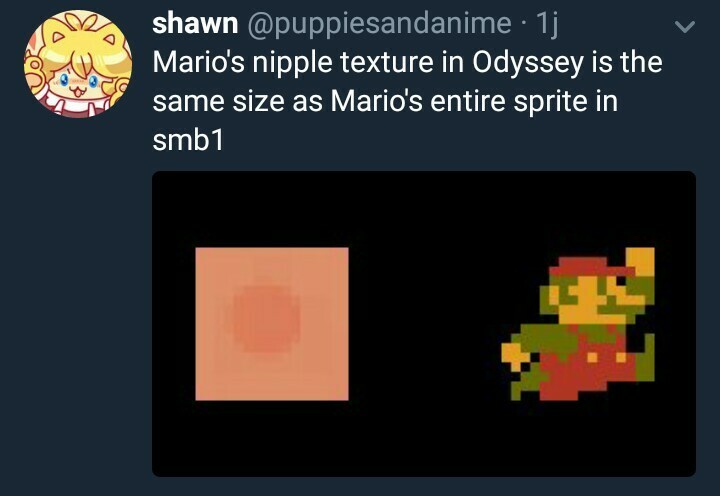 Everyone knows Luigi becomes playable in SM64 after you find the hidden 121st star. Piggy-backing on this one, the Evade stat in the original FF6 was programmed wrong so it's completely useless and does nothing. Virtually everything about the city designs for Ladylake and Pendrago in Tales of Zestiria is a nod to the comparable capital cities - Grand Chokmah and Baticul, respectively - in Tales of the Abyss. I just realized, and perhaps this isn't really a great trivia piece, that all the towns in Unova are named after clouds. 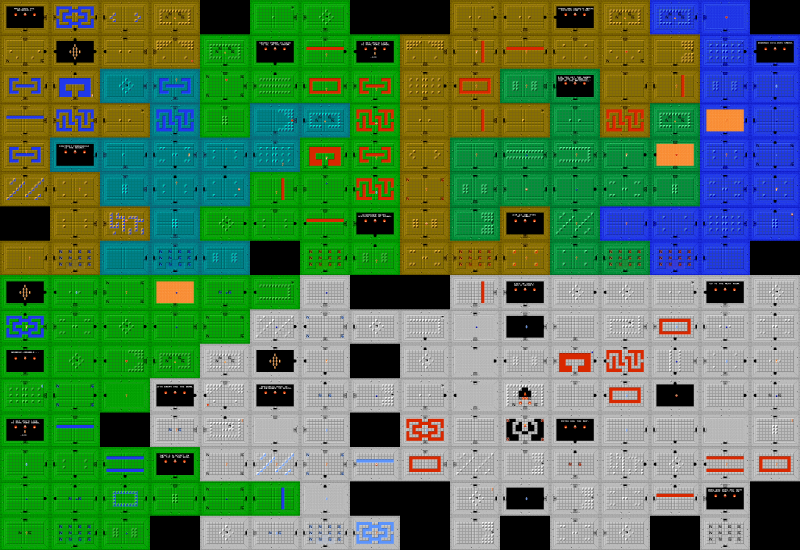 The dungeons in The Legend of Zelda are all arranged on a pair of 16x8 grids, with the individual dungeons fitting together like the pieces of a jigsaw puzzle. Additionally, while there are over 200 individual rooms in the game, there are only 40 different room layouts, with the enemies, items, doors, palette, etc. being the only variations. It's impressive how they were able to fit so much game into such a little cartridge. About halfway through Tales of Symphonia, Colette gets kidnapped for about the fifth time, this time by Rodyle. Immediately after there is a scene at Presea's house where you give her a Cruxis Crystal allowing her to regain control of her emotions and thoughts. Despite the fact that she has just been kidnapped, Colette is in the background in this cutscene.